I haven’t ever met anyone who doesn’t love Great Harvest’s cinnaburst bread, especially when its warm, toasted and slathered in butter. Mmmmm. I have made cinnamon swirl bread a handful of times, but the swirl doesn’t always turn out just like I want. 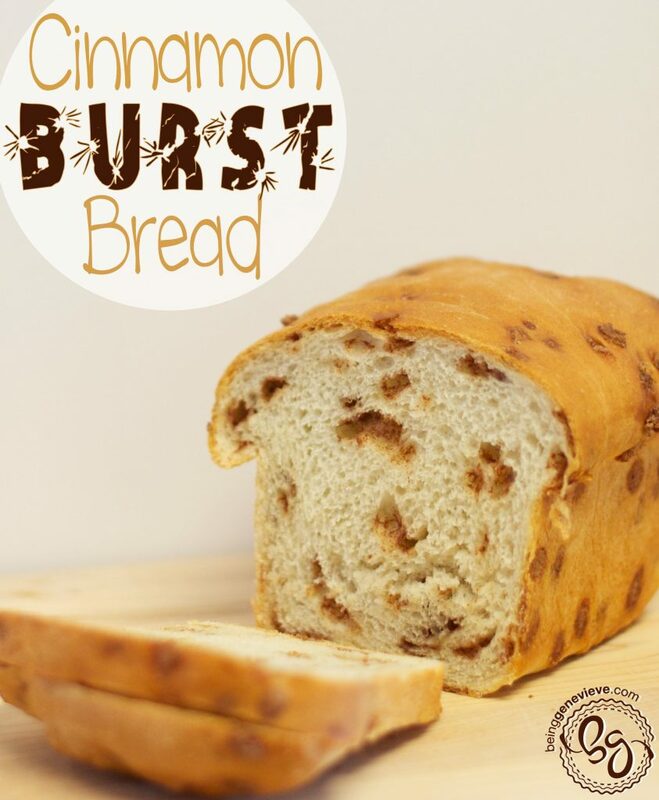 Cinnamon burst bread, on the other hand, always turns out the exact same. It is much easier to make than you would think. 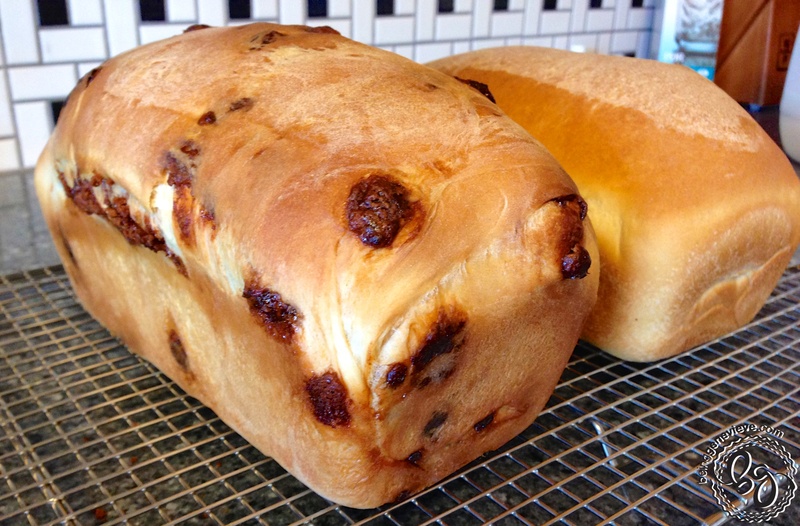 Here is what I do to make my cinnamon burst bread. . . Mix warm water, sugar and yeast while you get together the other ingredients. Combine the dry ingredients (4 cups flour, salt and butter). Add to yeast mixture. Add the next 1 to 1-1/2 cups, one cup at a time so that you don’t add to much. Note: I use the remaining 1/2 cup for dusting the counter while kneading and rolling out. Mix into a dough. 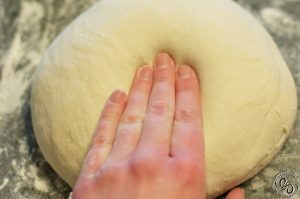 Knead dough slightly. Add the cinnamon chips and knead until smooth and springs back when you do the finger test. Place in greased air-tight container and let rise until doubled. Cut in half and shape into 2 loaves. Cover and let rise. Preheat the oven to 350°F and bake for 35 to 40 minutes, or until nicely browned. Remove from oven and immediately dump onto a rack to cool completely before slicing. I make my white bread just like I normally would (steps 1-3) and knead a couple of times. 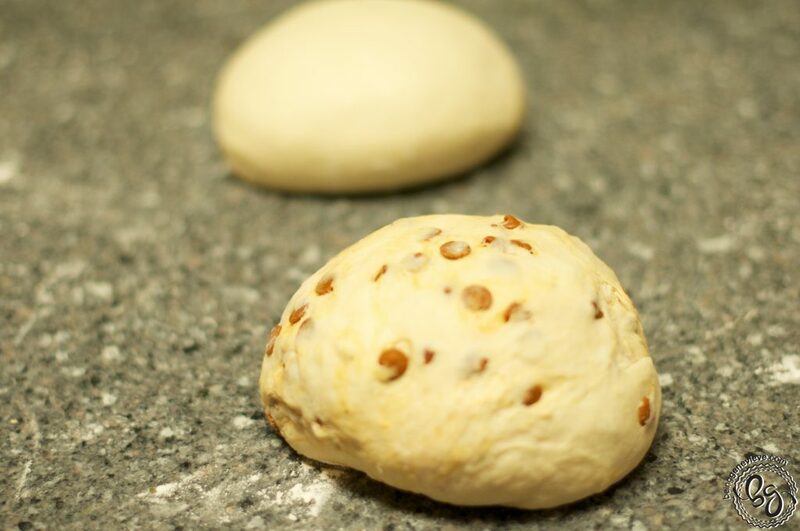 Once you have kneaded a few times, add the cinnamon chips right on top of the dough. Note: If you are making one loaf white and one cinnamon, like I usually do, divid the dough in half and only add 1/2 cup of chips. The regular size cinnamon chips are pictured here, but I prefer mini chips. 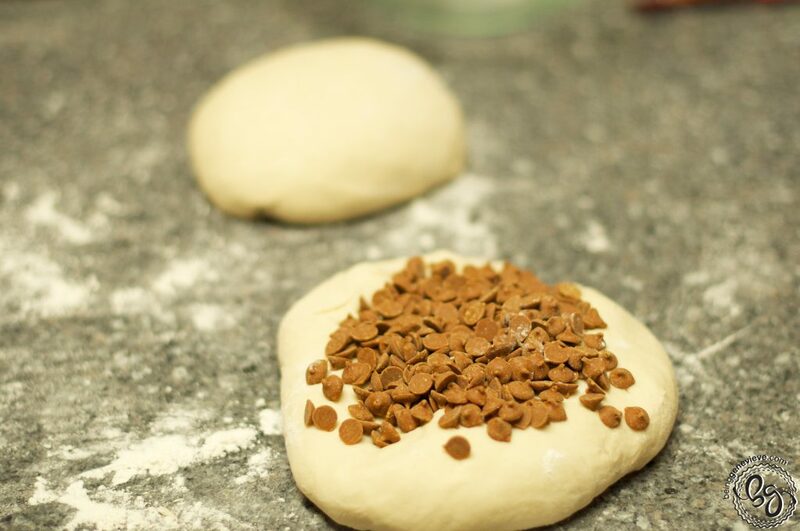 Now knead your dough until it passes the finger test (the dough springs back to make your finger impressions disappear) and the cinnamon chips are well distributed in the dough. 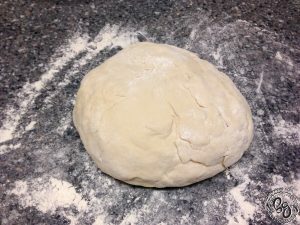 Now follow my white bread recipe for rising, shaping and baking (steps 4-6). I usually make my cinnamon burst bread at night because I like it warm with some melted butter spread on it for breakfast. Check out how to make your dough at night and how long it has to rise in the fridge overnight. Enjoy! 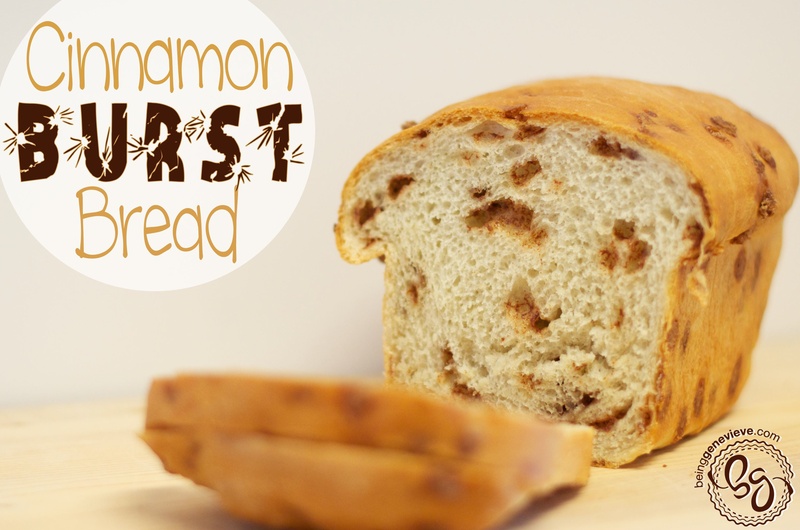 This is one of the only recipes for cinnamon burst bread that does NOT have eggs. The great Harvest bread company does not use eggs in their recipe either. I make quite a bit of bread each week, and I have one recipe that works for most all types (white, whole wheat, oat, etc..) and so I took your advice and used my recipe, then added the chips on the 2nd raise. Thank you for your suggestions! I’m so glad it worked! I found mini cinnamon chips at http://www.prepared pantry.com. they are my favorite! Love your recipe! !